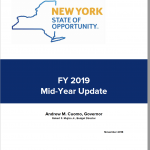 New York State’s budget outlook for fiscal 2020 is improving, according to the FY 2019 Mid-Year Update issued today by Governor Cuomo’s Division of the Budget (DOB). The Mid-Year Update—released 10 days past the Oct. 30 statutory deadline—pegs the budget gap at $3.070 billion for the fiscal year that starts next April 1. That’s down from $4.027 billion as of the end of the first fiscal quarter. Assuming Cuomo sticks by his pledge to hold annual State Operating Funds budget growth to 2 percent, the state’s projected net revenue shortfall has been cut nearly in half, to $402 million from the previously projected $780 million. And if the 2 percent limit is maintained through FY 2022, the remaining gaps for the following two years would fall to $998 million and $316 million, respectively. 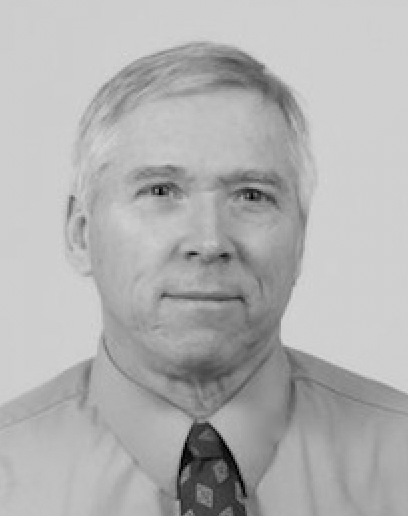 The significant partial gap-closing since the First Quarter Update can be traced primarily to two factors: a $303 million increase in projected miscellaneous receipts and federal grants, and a $579 million decrease in projected disbursements, which in turn stems mainly from reduction in projected debt service. Notably, DOB hasn’t changed any of its first-quarter projections of state tax receipts—although state Comptroller Thomas DiNapoli’s office this week estimated that taxes will fall short of Cuomo’s previous projections by $116 million in fiscal 2019 and $383 million in fiscal 2020. If DiNapoli turns out to be correct, the gaps will be larger than Cuomo now expects. The new numbers cast more doubt on the need to fully extend the state’s temporary higher “millionaire tax” rate, which now raises about $4.5 billion a year. That tax, boosting the state’s top personal income tax rate from its permanent-law level of 6.85 percent to 8.82 percent, is Cuomo’s twice-extended version of a slightly higher set of temporary surtaxes first enacted under Governor David Paterson to help close budget shortfalls in 2009-10. The Mid-Year Update, like all DOB financial plans, assumes no change to current state law—which would mean the higher millionaire tax rate expires as scheduled on Dec. 31, 2019, three-quarters of the way through the 2020 fiscal year. Based on current revenues, this means the gaps projected on the “Adherence to 2% Spending Benchmark” bottom line of the financial plan could be closed with extended millionaire tax rates of roughly 7 percent to 7.5 percent through Dec. 31, 2021. The natural next step in such a phase-down would be to eliminate the tax entirely and revert to the permanent law top rate of 6.85 percent in 2022. Balancing the budget with no millionaire tax after 2019 would require holding spending growth to 1.6 percent in FY 2020, and slightly below 2 percent in the following two years. Then again, New York City Mayor Bill de Blasio, Assembly Democrats, and—last but not least—leading members of the newly elected state Senate Democratic Majority favor raising the millionaire tax even higher, in part to to generate more money for the Metropolitan Transportation Authority (MTA) and city subways. Proponents of boosting the millionaire tax ignore the impact of the new federal tax law capping state and local tax (SALT) deductions, which has boosted New York’s effective marginal income tax rate to an all-time high.